Rappers in the Herat Portal in Afghanistan free-style with experimental dancers improvising at the University of Maryland Portal. Jonah Bokaer and James Koroni, of Chez Bushwick, Inc, perform their amazing new piece in the Portal live for participants in Tehran. James Koroni performed live for his family in Tehran. They had never seen him perform live before. James wrote: "Life has thrown me a gift." Yoga instructors in Kigali and Chicago teach one another new movements. 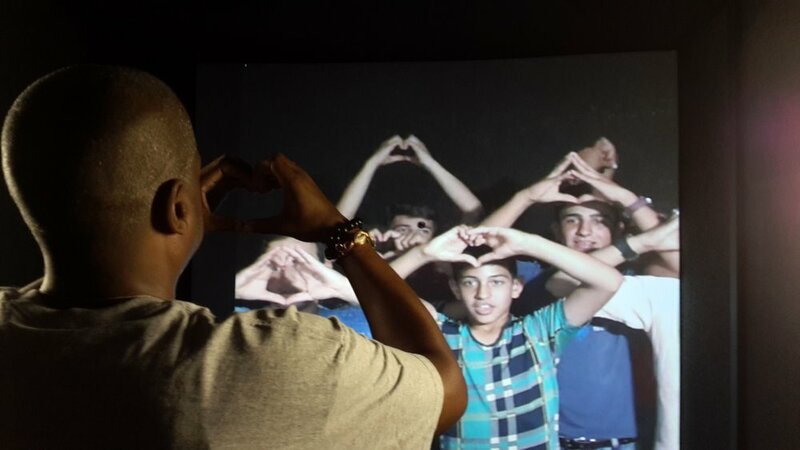 Hip Hop loves at the United Nations Portal teaching healing moves to Syrian refugees in Zarqa, Jordan. Dance party at Miami Portal. Dancers in Chicago collaborate with dancers at the University of Maryland.